A week into my first visit, Lithuania is rapidly rising up my list of impressive countries. People are friendly, society is laid back and respectful, there is an abundance of green nature and rustic old buildings, and a peaceful sense of contentedness. 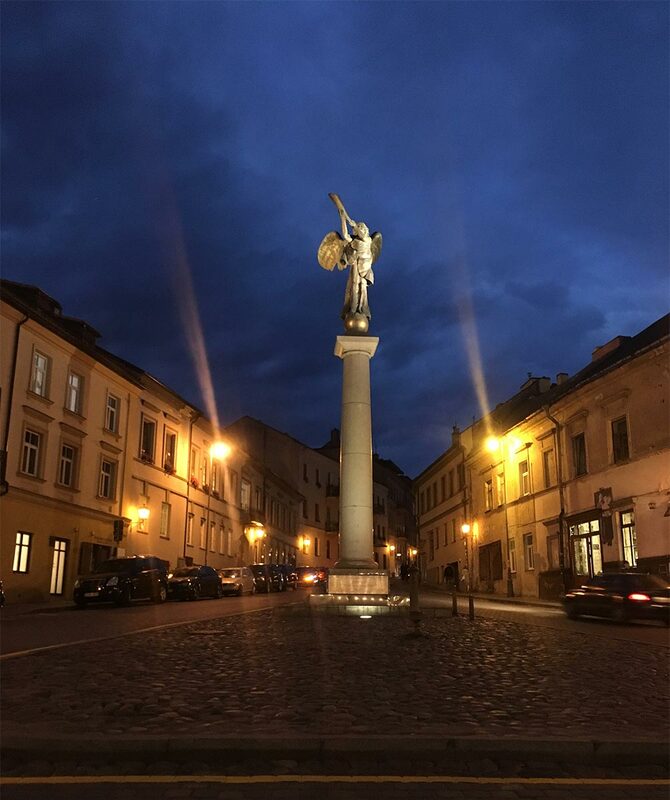 The first four nights I spent in the capital, Vilnius. I stayed at one of the best hostels I’ve been to in the world, Downtown Forest Hostel and Camping. I met numerous interesting people, sharing a room with a friendly New Zealand police officer, clearly on holiday. Another New Zealander, more difficult to describe politely. A couple of stimulating Lithuanians, one who already had two blankets. A German, whose saxophone-playing Tinder date flew in from Germany. A friendly London-Bangladeshi. An older British man who cycles everywhere around the world. A hitchhiker from Austria. A lovely crew. In fact, it was a reminder that almost everybody else at hostels is on holiday, making for a very distracting time. Monday night techno and double strength beer resulted in spending all of Tuesday in bed – my first sick day of this 15 month trip. Vilnius has a fresh, youthful vibe, contrasting eye catching natural visual aesthetics with the charm of the old city and refreshed modern design. Cafes and restaurants are excellent quality. The self-declared republic of Uzupis was probably more authentic years before Lamborghinis parked outside hipster pizza joints. I had successful meetings with other digital nomad network leaders and the Zappa Centre co-working space. For a humbling reminder of recent realities, I toured through the KGB Museum of Genocide, featuring the former execution chamber. 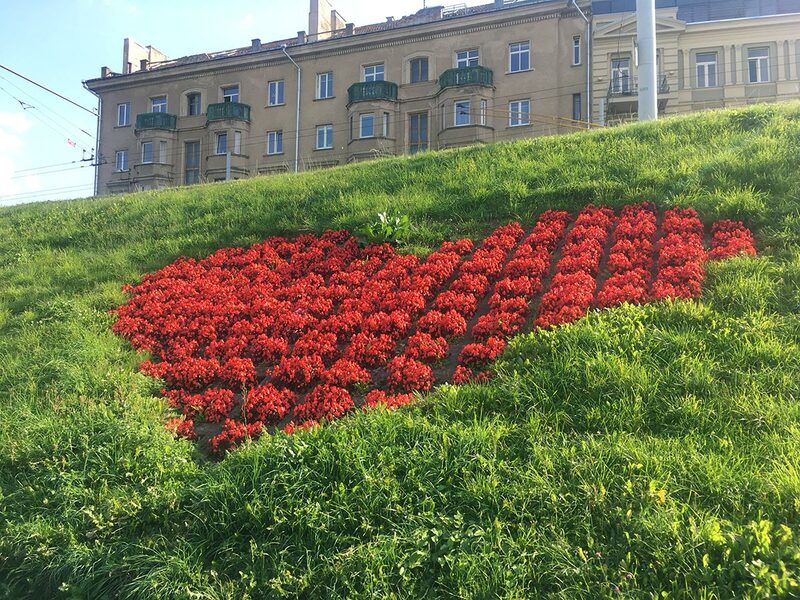 Generally, I loved Vilnius and my first taste of Lithuania. For the weekend, a little disappointed in recent developments from Estonia, I decided to be closer to the sea. At a beautiful town called Palanga. Enjoying Lithuania, I sought to check out other, contrasting parts of the country. Second-largest city Kaunas, and even extending in Vilnius, were options, but I feared parties would find me and I’d be useless. I want to write, be productive, and compose my thoughts. Desiring to be close to the sea, I looked at Baltic coast towns. An artistic commune called Nida sounded appealing, but was well out of the way. 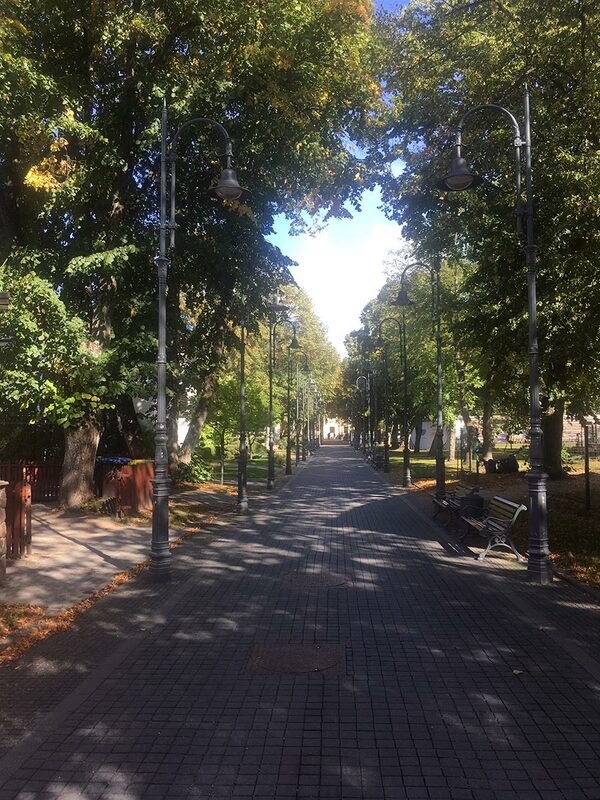 Palanga is a gorgeous town, with impressive pine forests that lead to the roar of the Baltic Sea. Normally Lithuania’s most popular seaside resort town, the summer season is over in September and it is quieter. Restaurants, bars and cafes everywhere, not crowded now. This weekend is a small Baltic Folk Festival of some sort, I will check it out tomorrow. If you found this article searching for “vilnius to palanga”, here is some useful travel info for you. Fly – Palanga has an airport, and you can fly in from Vilnius, and elsewhere in Lithuania. Train – You can take a fast train from Vilnius to Klaipeda or Kretinga (a little closer) for €14-17 . From there, a bus or taxi to Palanga. 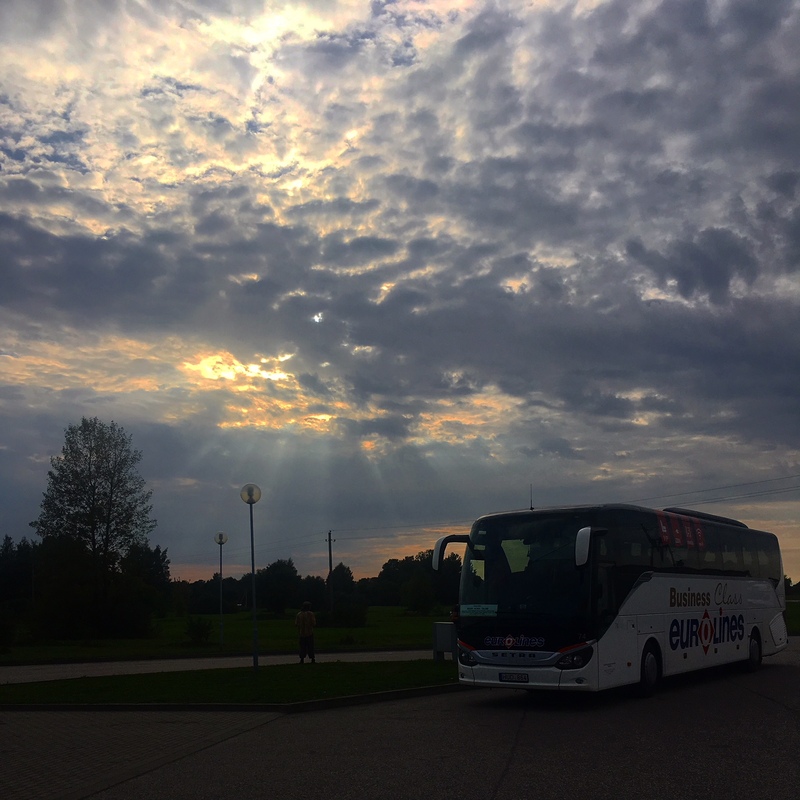 Buses run regularly from Klaipeda to Palanga (€1.50), less regularly from Kretinga (and not after 10pm). Bus – Regular buses between Vilnius and Palanga. I prefer to use BusRadar to compare all bus (and some train) prices anywhere in Poland and each of the Baltic states. Bicycle – Meeting more and more people doing this, all over the world, including one recently in Vilnius, who cycled from Riga. 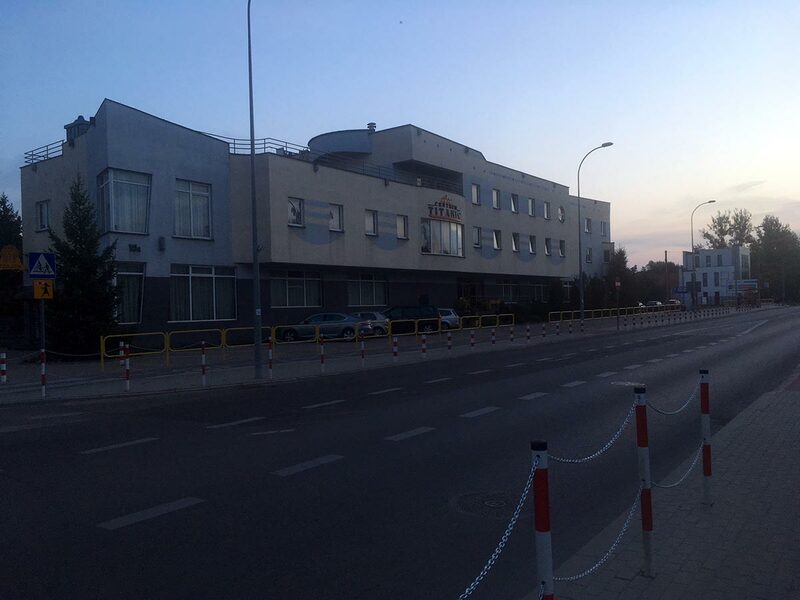 Hitchhiking – Met an Austrian in Vilnius who hitchhiked from Palanga. He says hitchhiking through the Baltics is very easy, and has not once waited more than an hour. Constant traveling is not ideal for productive nomads! This lengthy blog many hours late on Friday is one of the few tangible things I have accomplished this week. 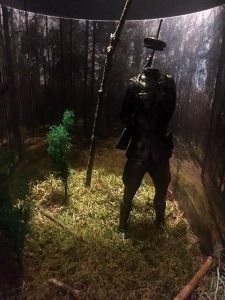 Due articles such as, “How to Pack for Epic Adventures” and the exclusive feature interview with LUXOR, plus various internal work tasks, have not progressed much. After several weeks building up a useful rhythm from a loving home in Krakow, being on the road brings constant remote work challenges. Hostels are distracting to work from. Even the good ones. Especially the good ones! As they attract better, more interesting guests, leading to long, deep conversations, and nights out. Very, very distracting. Travel days and transit kill momentum. Preparing for trips, packing, heading to bus/train stations, arriving, checking in, decompressing. Exploring local areas. Finding cafes to work from. All are exhausting and time consuming. Then, you have to do it all over again. Expenses get out of control. All your meals, accommodation, entertainment and intercity transportation are required expenses on the road. It accumulates much faster than an active social life at home. 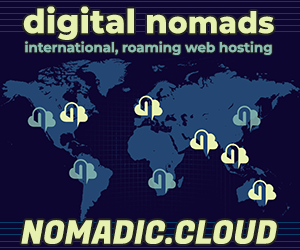 I will put together a longer article on the topic, with deeper advice and tales from other nomadic types. My heart and head definitely lean towards longer stays in places, and more efficient uses of time. But we be on a mission, don’t we be? 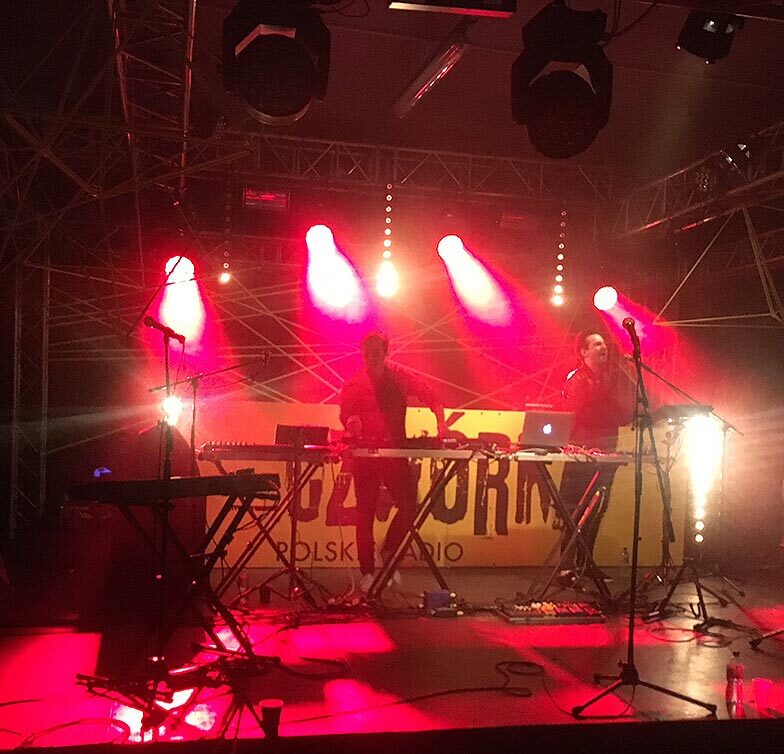 Last weekend’s Up To Date Festival in Bialstok was a wonderful time. The city’s central stadium offered three stages in its parking and concourse areas, banging out techno, broken beats, and more funky sounds. Earlier each evening, classical and ambient performances graced the Philharmonic hall and a central palace. The crowd was young and enthusiastic. Many could not handle their alcohol, resulting in some pitying scenes, while bemused ambulance workers looked on. Standout performances included Aisha Devi, who exceeded expectations with her high energy, mesmerising live form. Lorn and LUXOR were also particularly excellent. The highlight of the festival on the press side was our opportunity for the exclusive world-first interview with LUXOR. This is a collaboration of French techno producers Antigone and Shlomo, and Up To Date was their world premiere. We’ll have the interview for you next week! Thanks to Up To Date for their excellent work, and for Jan, the PR guy who probably hates me. We had some missed communication, but he did set up the prime LUXOR interview. For those looking to visit Bialystok for the 10th Up To Date Festival next year, we highly recommend the excellent Titanic Hotel. It’s shaped like a ship, and has a lot of fun, cute ship-like memorabilia inside. Good price, too. New Maribou State Album is Out! UK-based Maribou State are one of our favourites here at DigitalNomad.Blog. Their brand new album, Kingdoms in Colour, does not fail to impress. It’s simply marvelous. We’ll review the album in depth shortly, but I recommend having a listen at whatever you can find. You can also check out our recent feature on Maribou State here. They are touring around Europe and the world over the next 6 months. In anti-climatic fashion, the original, considerable Baltic Journey lasts only a few more days. Pleasantly longer than expected stays in Poland and Lithuania have rationed the remaining three days between Riga and Tallinn. 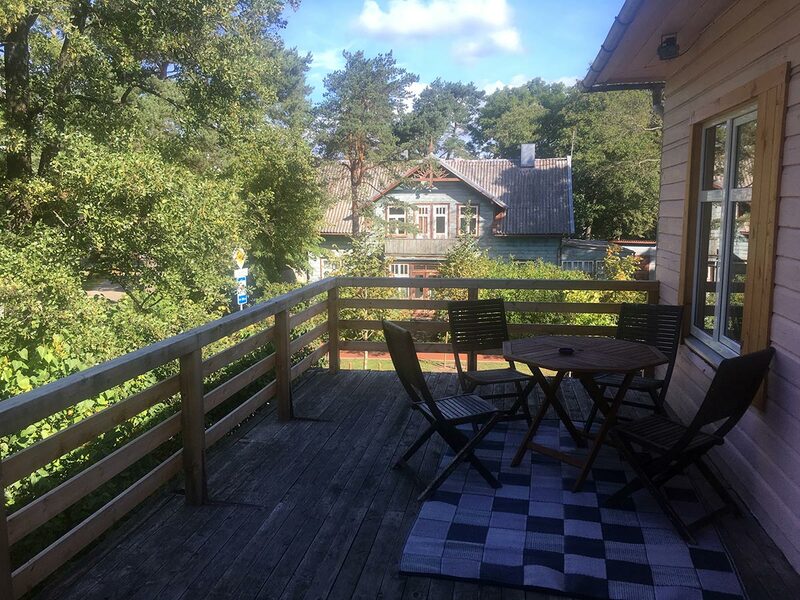 A recent announcement changed my mind about spending more time in Estonia, or even maintaining an Estonian business at all. 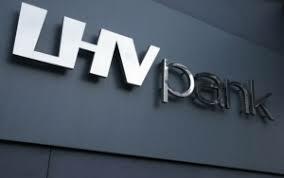 I have to say, I am majorly disappointed with Estonia’s LHV Bank. A meeting at the LHV branch in Tallinn to open an account was the primary purpose of this elaborate trip. LHV Bank recently announced new fees for non-residents – an insane €200 set up fee, and €20 per month account fee. Plus several euros monthly for the bank card. All for the privilege of this privileged bank to stockpile and profit from the money we leave with them. Their argument is the high cost of maintaining our foreign accounts, and recent government intervention due to effects of e-Residency. This suggests they don’t earn anything at all from the long-standard dodgy banking practices holding people’s money. Fractional reserve lending anybody? This just will not cut it for freelancers, artists, start ups, and small businesses on a budget from the outset. As I’ve come this far, I’ll still head to Tallinn, albeit for one unenthusiastic, solitary day. I’ll meet the bank, officially express disappointment and make some constructive suggestions. I’m not paying these bank fees, even with LeapIN’s 50% discount off LHV fees. I will share backup options in future articles. As for LeapIN, they provide an excellent set up, accounting and reporting service for Estonia e-Business. 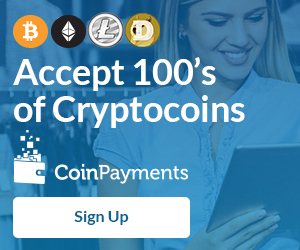 If you want to check out LeapIN, sign up with code “NOMADICAL” for a €100 cash bonus. If you’ve been following along with my trip, I’m impressed! And I recommend psychotherapy, I know somebody. However the Riga-Tallinn split works out, I’m flying from Riga to Berlin on Wednesday. An evening or two catching up with recent friends. My pinnacle of the summer is Friday’s David August concert at the impressive Elbphilharmonie Hamburg. I’ve been looking forward to this supreme orchestral-electronica collaboration all year, more than anything. The concert weekend also marks the conclusion of my Plan Sea book. Every moment of this fifteen month trip in its entirety, from the peaks of Korean mountains, to the depths of Kampot dungeons, the spiritual journey through India, and this magnificent European summer, comes to a head. For that, I am entirely grateful of every moment, every experience, every person encountered along the way. Good, bad, or indifferent, it all led to this. Thank you.